Stephen Colbert opened The Late Show with Stephen Colbert on Monday by addressing the resignation of Leslie Moonves, who resigned as chairman and chief executive of CBS on Sunday. It’s Colbert’s job to joke. Moonves hired him to replace David Letterman on The Late Show and Moonves stuck by him when Colbert’s first months brought disappointing ratings and reviews. So, well, Colbert was doing an insider-ish and pointed put-down. But the Moonves situation has to be about more than put-down and insider jokes. The situation tells us a lot about the TV racket. Fact is, there are more employees than there are stars in television and those are the ones we should be concerned about. Leslie Moonves, president and CEO of CBS Corporation, responds to an interview question in a MediaLink keynote during the 2015 International Consumer Electronics Show (CES) in Las Vegas, Jan. 7, 2015. The on-the-record accusations against Moonves in Farrow’s second piece are sickening to read. (Moonves’s statement in response says, “Untrue allegations from decades ago are now being made against me that are not consistent with who I am.”) The accounts by women of sexual coercion and assault are truly disturbing. And it’s the pattern that’s instructive. Most of the women who came forward after the first article about Moonves were in junior or subordinate positions, or in positions where Moonves was an important client, not an immediate boss. What this tells us, and what should make everyone involved in the industry rethink the pecking order, is that fear is the governing emotion. The way television works is an industrial-strength chain-of-command system. A handful of people have enormous power to make or break careers. There is a vast amount of vulnerability for those low in the pecking order. Criticism or complaint about a powerful man’s actions is undertaken at the severe risk of ostracism, marginalization or retribution. And because of that, abuse happens and goes unreported, even for decades. It’s a safe bet that Moonves never imagined his career could be ended by people so lowly; among them, a young woman assigned to be his personal assistant and a massage therapist working at a hotel he frequented. In his world, such people are disposable. The downfall of Moonves has had less media attention than the first wave of revelations wrought by the #MeToo movement. And that, too, is disturbing. He’s not as famous or glamorous in the public imagination as Harvey Weinstein, but more problematic in the context of the attention the story receives, is the fact that his victims aren’t famous. And that means less coverage. Television is vastly different from the movie industry. An organization such as CBS employs thousands of people who toil daily in lowly positions. They hope to have long careers. They also tend to worship the head of a network in the way that benign dictators are worshipped. Coverage of network TV leans toward seeing the industry in terms of eras connected to one person at the top in charge. There was the period when Warren Littlefield ran NBC, there was the period when Les Moonves ran CBS before he was elevated to a more corporate role. When Moonves did run the CBS network, he was a great favourite of TV critics at the semi-annual media tour. Candid, witty and accessible, he showed great respect for the critics and would talk to anyone, canvassing opinions and sharing gossip. Most network bosses loathe the executive sessions when they’re obliged to answer thorny questions. Moonves seemed to relish it. Looking back, his performance seems less charm offensive than cockiness. He is recast as a manipulator, accustomed to power and adulation from subordinates. Maybe the critics showed him far too much deference, too. 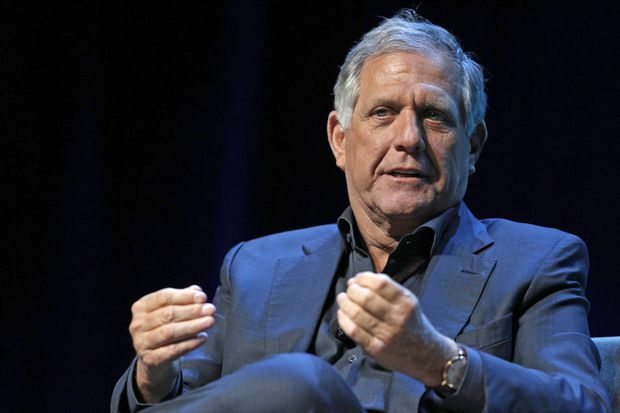 The Moonves saga ends, for now, with coverage of the enormous severance package, estimated to be US$100-million, he will likely never receive as a CBS investigation unfolds. The amount of money involved is what’s driving that coverage. The actor Rachel Bloom, the star and co-creator of Crazy Ex-Girlfriend, made a statement the other day on Twitter about Moonves: “As an employee of CBS, I would just like to say that Les Moonves should be fired without getting a [expletive] dollar.” She then linked to the Farrow article. Yes, she calls herself an “employee” because in TV, that’s what she is. There are a lot of them in television in unglamorous roles. They all need to be comfortable about speaking out and they all need to be heard. Right now, many are still afraid.